All proceeds will support the life-changing work of Save The Children. 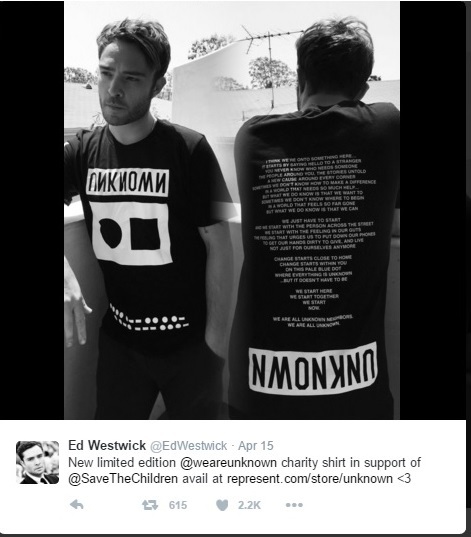 Join Ed Westwick and friends in helping raise money and awareness for the philanthropic organization, Save the Children. UNKNOWN is, " A non-profit initiative aligning talent w/ charities & city-centric causes amplified by partnerships w/ the events they attend #WeAreUnknown".